We’ve all heard about it. Some of us, including myself, have experienced it. You go to a transformational festival, and you come back a different person. Or at least, you come back with a fresh perspective and renewed energy. Maybe you’ve found your life path. Maybe you met your soul mate. Maybe you saw the best performance of your life. Maybe you discovered a new healing modality. Maybe you had your first out of body experience. Maybe you left your comfort zone and found new ways to cope with it. Maybe you found your tribe. Maybe.. all of the above…? I can definitely relate.. I’ve had numerous life changing experiences at festivals that have been documented in these articles about Lighting in a Bottle 2012 and Lucidity 2014. So what is it about transformational festivals that helps evolve our consciousness? This week on Lucid Planet Radio, I sat down with Jonah Hass, the co-founder and Marketing Director of Lucidity Festival, to find out his thoughts about this. You can listen to the whole interview in our Soundcloud archives or download free on iTunes. For Jonah, it is not a coincidence that people have these experiences at events like Lucidity. In fact, it is BY DESIGN. Some event producers have the intention of throwing a really good party, and some events are held with the sole purpose of generating revenue. 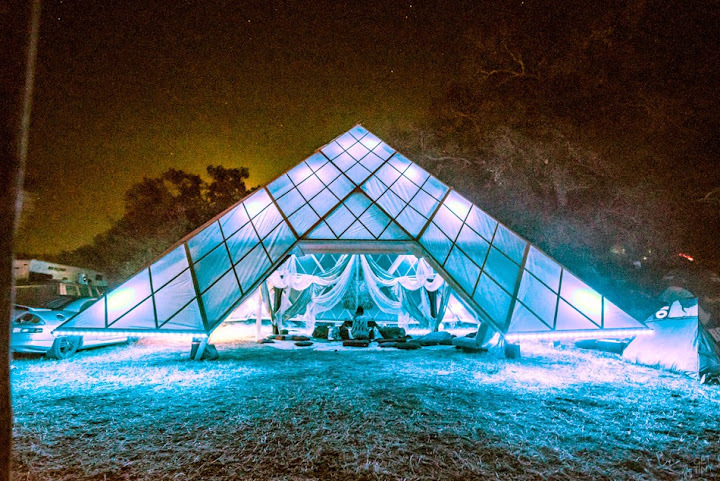 But for truly transformative events like Lucidity, the intention is so much more complex than just money and partying, and you can feel it from the minute your step onto the land. Perhaps this approach is not surprising, considering that Lucidity puts a great deal of intention into its meta-narrative. In light of the fact that some of our most celebrated stories come in trilogies, Lucidity created its own “mythos” (inspired by Joseph Campbell) to describe its six-year story arc. The first three years, Awaken Your Dreams, Totem’s Return and Universe, were all about individual transformation, while the second three years, Kindred Quest, Crossroads and Eudaimonia, highlight collective transformation. In case you were wondering, 2016 marks year 5, Crossroads, which focuses on the collective human present. We are truly standing at the crossroads for humankind, as we look out over the landscape of our species and mother Earth. We see our global human family entangled in a liminal, transitional zone between what was and what will be. Standing together, we can recognize the challenges we face and begin working together to arrive at solutions. 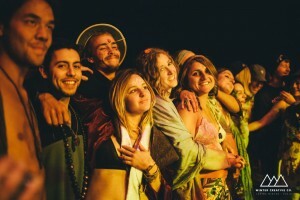 In addition to the intention set forth by the organizers, the participation in real-life community is a hugely important component of how festivals evolve consciousness. If you are like me, you want to feel like you are truly PART of the event, not only when you are dancing at the main stage but also when you are hanging out back at your tent. We want to be friends with our neighbors to share space in a loving and open manner, and we want to be able to have an open, honest dialogue and freely bring our authentic selves! 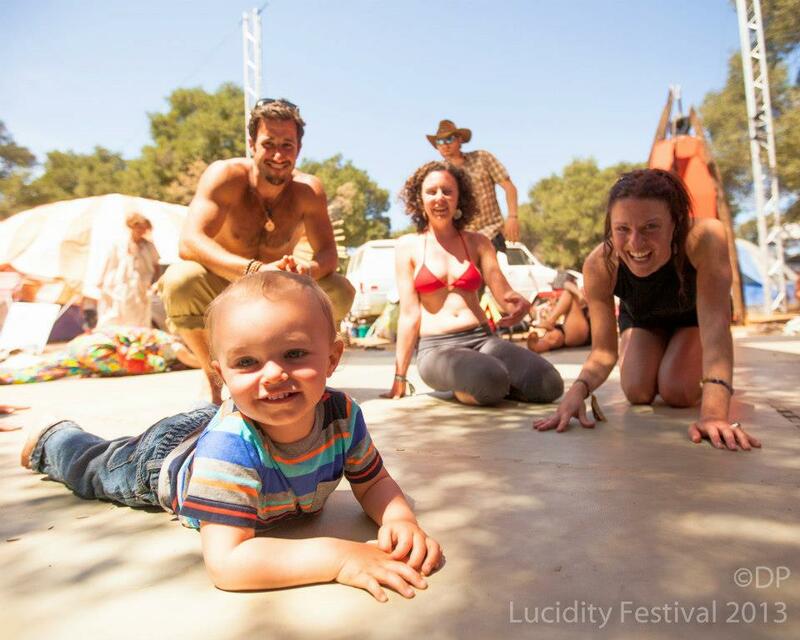 One aspect that really sets Lucidity Festival apart is the way that the festival camping is completely integrated into the festival, as opposed to being located in an outside or in a roped-off location like at most other events. Participants camp with different dedicated themed villages, creating their own activities, workshops, musical offerings and sacred spaces. 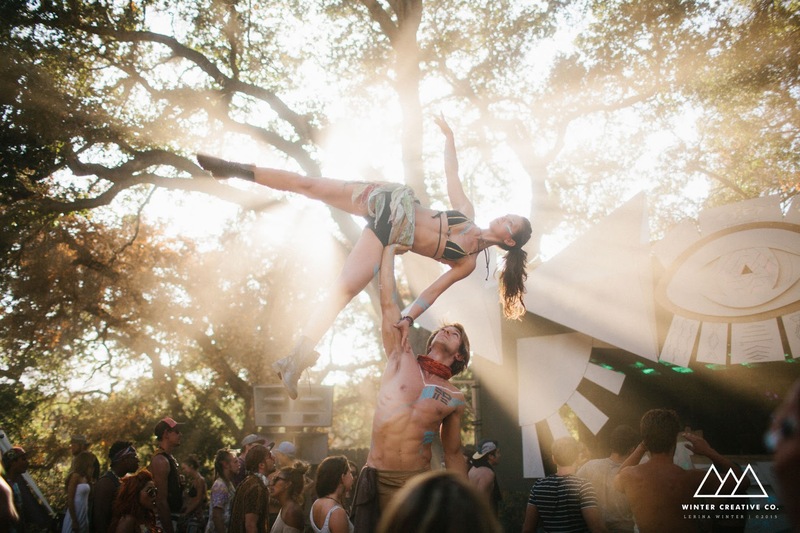 At Lucidity, you spend the weekend living inside of a pop-up festival wonderland, sleeping and waking as a part of the living installation of the joys of festival life. This level of immersion leads to a unique feeling of togetherness, magical co-creation, shared space, and intimacy with other people that many of us do not get to experience in everyday life. 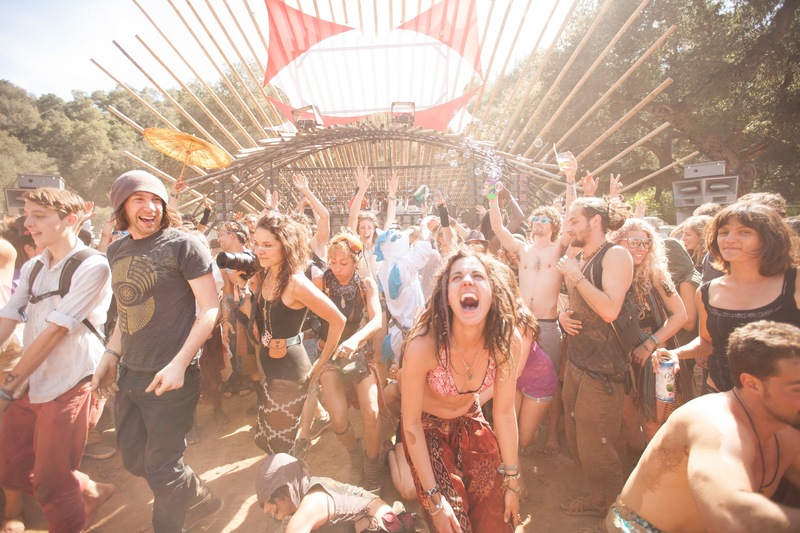 You really can “choose your own adventure” in every day way at Lucidity, including where you decide to camp. Villages have been created based on the main archetypes developed by the festival’s ‘mythos,’ including Goddess Grove, Healer’s Sanctuary, Family Garden, Warrior’s Way, Nomad’s Nook, Trickster’s Playground and Lover’s Nest. Each of these camping villages offers its own workshops, activities, music, interactive art displays and more. Check out this description of the villages for more information, and to decide where you want to live, sleep and play for an unforgettable weekend! 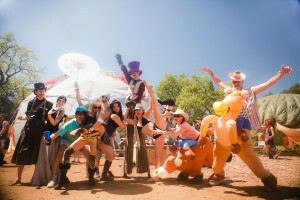 Depending upon how you are feeling, you may be drawn to certain parts of the festival. 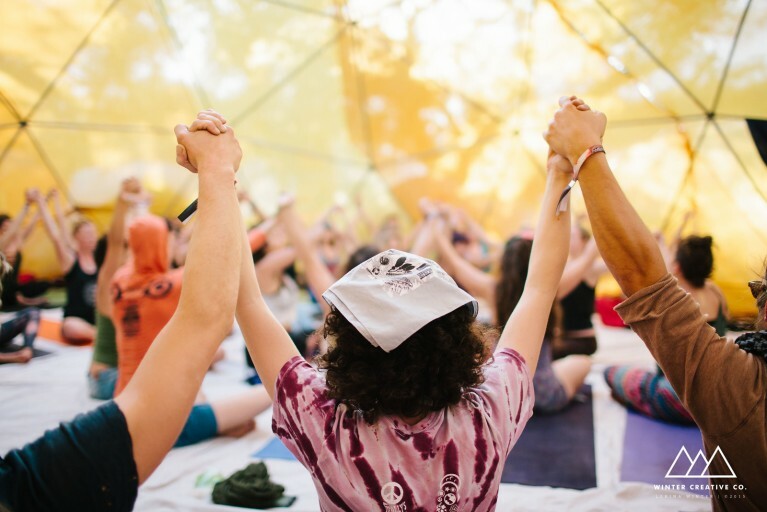 One component that always attracts me to transformational festivals is the depth and breadth of workshops offered, ranging from dream workshops, to intimacy coaching, to tons of yoga, martial arts, healing workshops, and sessions on permaculture design, art and creativity. 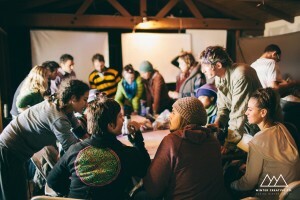 Festival workshop experiences can enable us to explore and develop our passions and talents, while connecting us with those who share the same interests. 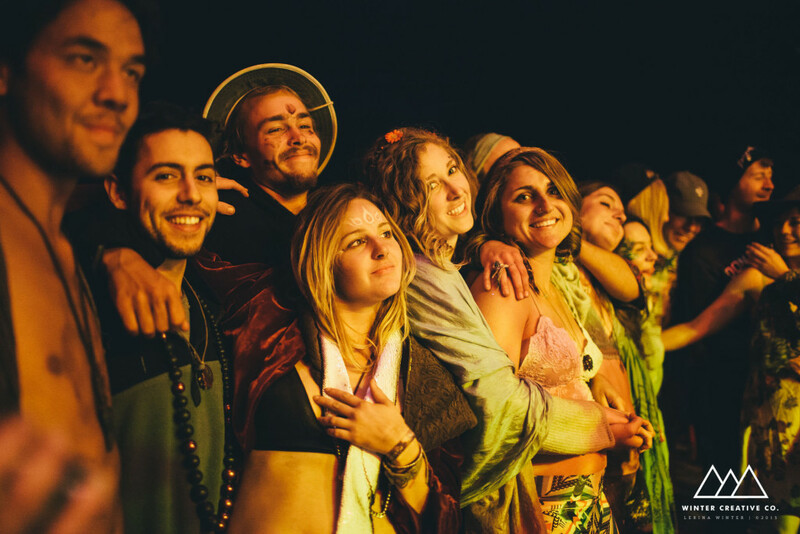 Gaining knowledge and new skills through education is one of the most efficient and direct ways in which festivals can help evolve consciousness. Lucidity is really raising the bar and dropping knowledge in 2016 with their brand new offerings during Lucid University Courseweek April 4-7th. 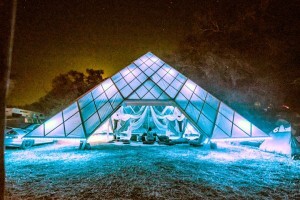 In a re-imagined evolution of the way we approach higher education, Lucid University is offering five different intensive training courses during the week leading up to the festival: Introduction to Permaculture Design, Lucid Dreaming, Reiki Healing I and II, Art & Creativity and Embodiment & Leadership. These classes are offered to people who might have been to a workshop, or who have had their interests piqued on a topic, and are looking to immerse themselves in that topic with a world-class teacher for a few days while the festival is being built around them. The organizers intend that the new skills learned at Lucid University may help individuals pursue new life paths and opportunities in alignment with living a more creative, healthier, more fulfilling life. The continuity offered by this course week this is very important to the Lucidity Organizers: Whatever you learn, you can continue to expand upon your daily post- festival life! Finally, festivals evolve our consciousness by helping us practice reliable models for a sustainable future. A far cry from the giant pile of red cups at Coachella last year, Lucidity follows an “End Single Use Campaign,” where participants are encouraged to re-use objects they might otherwise throw away. Their festival map being printed on a reusable cloth “Mapdana” instead of paper is a great example of this! As a zero waste event, the organizers ask participants to Leave it Better by acting as stewards of the land, packing everything in and out, being conscious of where they throw trash, and picking up items that are out of place, like cigarette butts. During our interview, Jonah emphasized the importance of leaving plastic bottles at home in favor of a reusable water bottle for the free water stations- It is very important to hydrate!! The Lucidity organizers have also put a lot of effort into ensuring that the festival land is not damaged by the event. For example, in an effort to minimize the impact on the Live Oak forest (which has seen a pretty severe drought as of late! ), they made the decision two years ago to reduce the number of cars on the site by 1000, so that the roots of the large oaks are not dramatically damaged by cars driving over them. This type of attitude is not surprising, in light of festival’s long term goals of acquiring a permanent land node on the West coast on which they can create an intentional community and host smaller events and retreats. 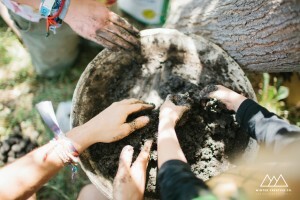 Their intention is to create a living demonstration of what is possible around sustainable collective living, including permaculture design, growing their own food, the healing arts integrated into daily life, community action and dynamic forms of governance. This feels like the logical extension of the festival experience, transitioning into a full year sustainable lifestyle. If you are interested in getting involved or becoming a partner in this whole systems approach towards community living, please contact Jonah Hass ([email protected]) for more information. 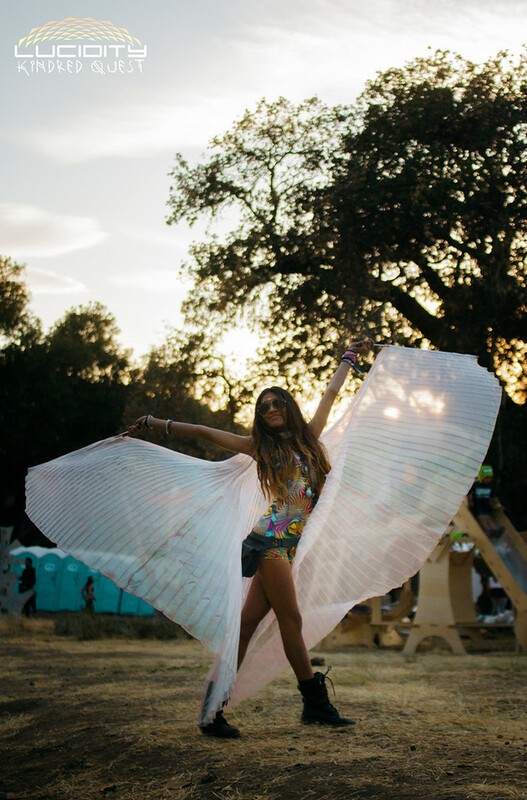 In the end of the day, your festival experience is reflected by your intentions. 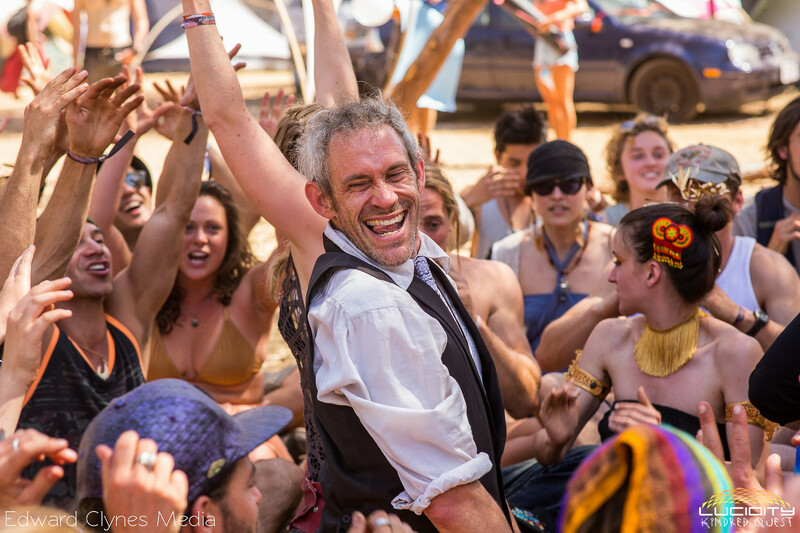 if you bring intentions for learning, growth, community, sustainability and FUN, you are probably going to find exactly that at a transformational festival. For more on Lucidity, including a discussion of what to bring/ not bring to the event from Jonah Hass, listen to the podcast on Lucid Planet Radio and check out their FAQ page. I can’t wait to see you in April! I will post info soon on the dates/times workshop I will be offering. For more information and to purchase tickets, visit LucidityFestival.com and use code “LucidPlanet” at checkout to save $15!